The following policy guidelines apply to Aqua Energy Child Care. 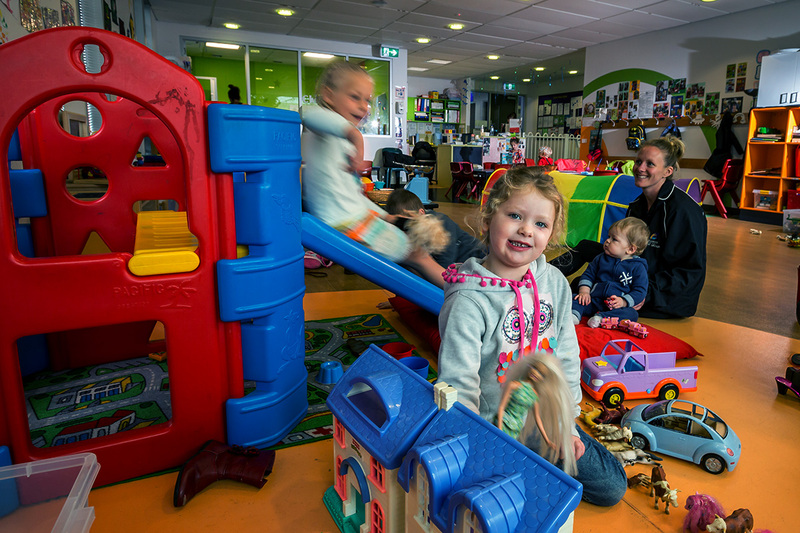 Occasional Child Care is available for children currently 6 weeks old up to 10 years. There is a limit of 20 places per session. An enrolment form must be completed prior to your child/children’s first visit. The information on this form authorises staff to act in case of emergency and gives the centre important information regarding medical issues, allergies or custody details. Please notify us of any changes to care arrangements, immunisation or medical details. Our current policy allows parents/carers to leave the facility while their child/children are in care. Enrolment forms are available from Customer Service and copy of a current Immunisation History Statement from the Australian Immunisation Register must accompany the enrolment form at the time of submission. Bookings are essential and must be made at the facility during Child Care hours or alternatively at the front desk after hours. Parents/guardians are required to pay at the time of booking to secure their child/childrens place. Regulations limit the number of children per session, therefore it is paramount that you arrive and depart according to the times you have booked. Aqua Energy will provide qualified supervision per regulation set by the Children’s Services Act 1996 as a (Limited Hours Type 2 Service). All staff undergo a police check prior to commencing employment and have current Working with Children Checks, First Aid, Anaphylaxis and Asthma Training. It is important that you sign your child/children in/out upon each visit. This must be done prior to physically collecting your child as per the Child Care Regulations. When a person other than yourself is picking up your child, their name must be registered on your enrolment form. Where the pick-up person is not registered formally in writing by the child’s parent/guardian, the child will not be released. If you must cancel a Child Care booking the centre must be notified no later than 6.00pm the night before (5pm Sunday nights). Failure to adhere to this policy will result in an $8.00 charge for members and a $15.65 charge for non-members, as children may be on the waiting list to fill the spaces. If you hold a Visit Pass, a visit will be removed as payment for the late cancellation. If you pay casually, you will be required to pay for the late cancellation before your child/children can be booked into another session. If an advance payment has been made and notification given this may be transferred to another booking within 1 week. Child Care closes promptly at 11am each day. In compliance with the child/carer ratio, two staff will remain on duty until all the children are collected before 11.00am. Parents/guardians are requested to notify the centre as soon as possible if they are going to be late so appropriate staffing arrangements can be made. If staff have not received any communication from the parents/guardian stating that they will be late to collect their child, staff will ring either parent/guardian to determine why the child has not been collected. Once staff have contacted a parent/guardian, they will ask them to make immediate arrangements to pick up their child. If staff cannot contact either parent/guardian, the emergency contact people listed on the enrolment form will be phoned and asked to make immediate arrangements for the child to be collected. Staff will leave a note on the Child Care door informing parents/guardians that the emergency contact person has collected the child. Half an hour after closing time, if staff have not been able to establish contact with the parents/guardians or emergency contacts, Child Care staff will contact relevant authorities and implement recommendations. Late collection of children after 11am will incur a late fee. The fee charged will be calculated at $15 for the first 15 minutes or part thereof after that a charge of $1 per minute applies. Fees must be paid before the next booking is accepted. Council trusts parent/guardians understand the need for timely pick ups as children being left after Child Care hours leave Council in breach of National Regulations. The centre does not have the facilities or staff to care for children who are not well, but every effort will be made to keep a sick child comfortable until a family member of emergency contact person arrives. To protect your child, other children, and staff, please keep your child at home if they display any symptoms such as vomiting, diarrhoea, fever, conjunctivitis, flu like symptoms or an undiagnosed rash. We do encourage toilet training but ask that while in care, your child wear pull-ups during the initial training period. All accidents will be recorded in the Accident/Illness Book located in the facility. Parents must sign the book when collecting their child to confirm they have been informed of the accident. All accidents will also be recorded in the Centre Incident/Accident Report folder. We encourage positive interactions with your child/children but in the event of inappropriate behaviour such as swearing, hurting other children, damaging toys and equipment, the child will be redirected to another activity, if this occurs more than 3 times then the parent will be notified. In the instance that the behaviour or similar continues an interview will be arranged to discuss ongoing care. The staff have been selected for their experience and qualifications as well as their commitment to providing a high-quality program for the children in the room. The program meets the development needs of the children and promotes growth and development at the children’s own pace. This is implemented in a warm, caring, friendly environment which encourages the children’s independence, and importantly their self worth. In the event of an evacuation your child will be taken to the assembly area which the bus stops in our car park area. Our evacuation plan is displayed on our notice board in reception. A drink and a snack, fruit is advisable as well as sandwiches, crackers etc. We ask that you refrain from packing snacks that contain nuts. Hats are to be worn at all times while playing outside so please be sure to have one in your child’s bag to avoid disappointment. If your child has an EpiPen/Anapen or Asthma inhaler this must accompany them along with a current management plan. We will not be able to accept your child into care without their current medication. Medicine such as Panadol will need to be signed in and instructions given on administering doses. We will not administer prescribed medication if it does not bear the name of the child in question. Our Anaphylaxis Policy is clearly displayed on our front desk and information regarding the “Anapen” is also available upon request. If at any time, you feel that the quality of care does not meet your expectation, please feel free to discuss it with the Child Care Supervisor or directly to the Healthy Lifestyles Coordinator on 5142 3700.